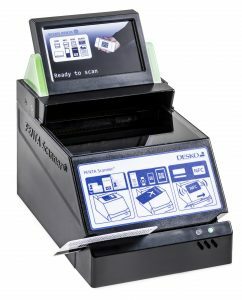 The PENTA Scanner® platform comprises versatile full-page document scanners which capture image data from ID document under three different light sources such as infrared (IR), visible (VIS) and ultraviolet (UV) light. The images provide an excellent basis for OCR data collection or document authentication. 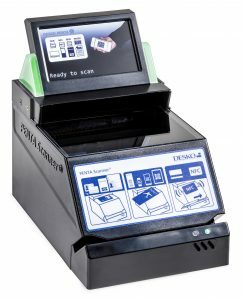 What makes the PENTA Scanner® outstanding to other full-page scanners is the variety of available features such as barcode reading, magnetic and chip card reading or an included RFID module for biometric passport reading. Additionally, the PENTA Scanner® can be equipped with a multicolour touch display for great visible user feedback. 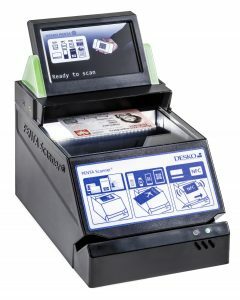 To make the PENTA Scanner completely independent from any fixed installations or wired counters, it is also available with battery pack and WLAN/LAN/3G connectivity. 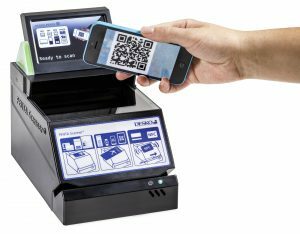 The entire device is solidly constructed and the scan area is covered with scratch and break resistant PERLUCOR® security glass. Therefore, it is best prepared for a long life cycle in the rough airport environments. 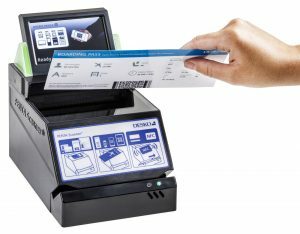 With its various features and options, the PENTA Scanner® is suitable for all passenger touch points at the airport, from check-in to boarding.